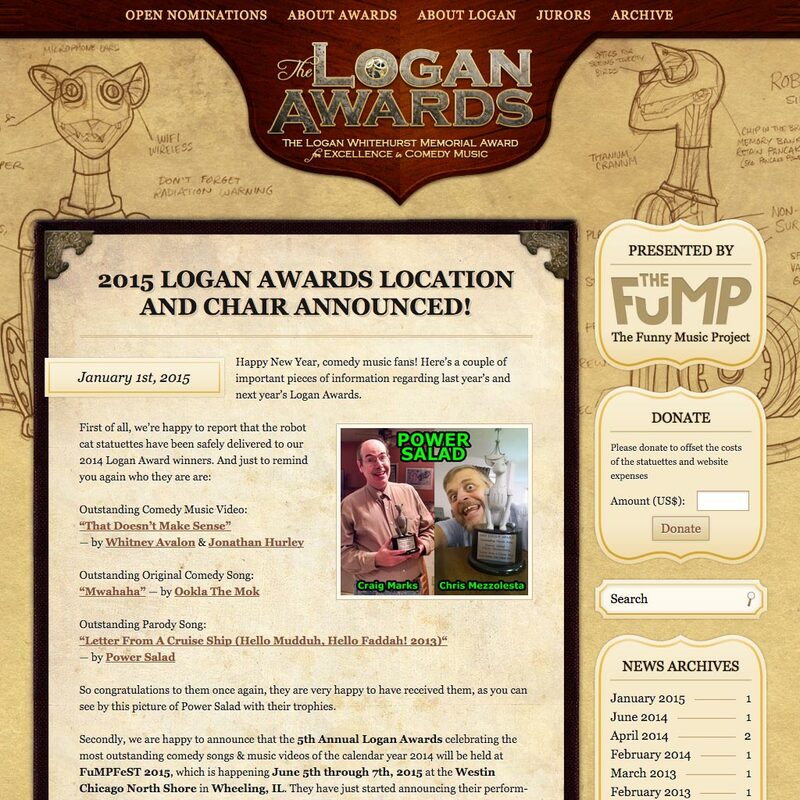 The Logan Awards honors excellence in comedy music. 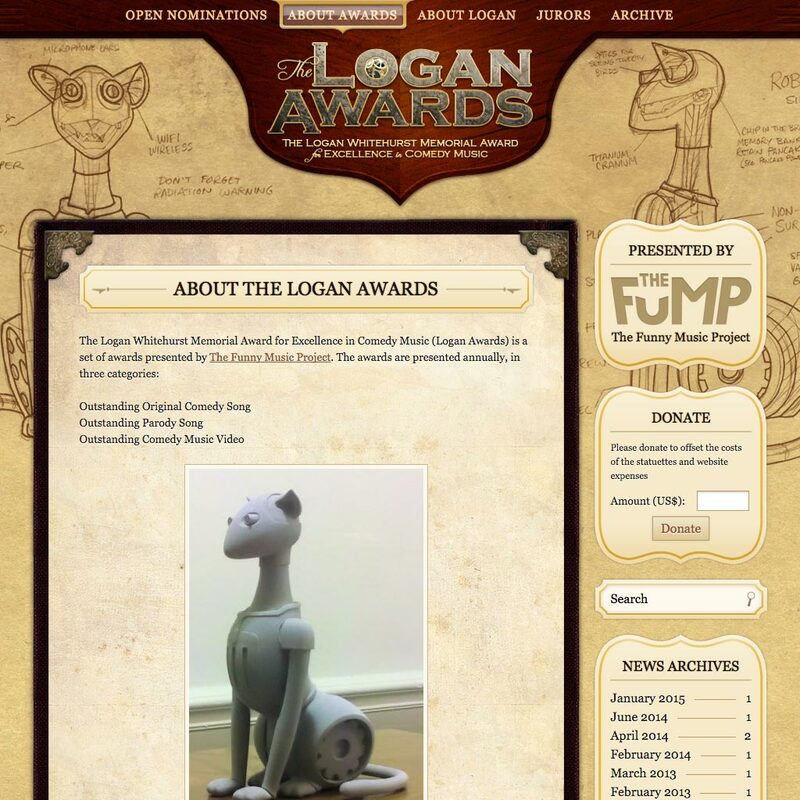 Its iconic award is the Robot Cat statue. I used that icon as inspiration to design a website that incorporates elements of steampunk with hand-drawn artwork by the great Luke Ski.